During the search for the evidence that “went missing” in Belynda Goff’s case it was discovered that physical evidence from the crime scene had been found and never shared in discovery to her attorney. This physical evidence was logged in on June 13, 1994 to the Arkansas State Crime Laboratory and has remained secreted away for twenty-four years. Attention: Photo not from actual case as the “lead investigator” did not see the need to secure the crime scene. In the crime scene video you can clearly see a small child riding their bike on the other side of the door where Stephen Goff’s body was found. When the New York Innocence Project’s attorney, Karen Thompson, moved to have this newly discovered DNA evidence tested, the Carroll County Prosecutor, Tony Rogers, dug in his heels fighting against the testing. The prosecutor’s actions prompt an immediate question. Why? Why would any state or federal prosecuting attorney fight against DNA testing of evidence? Particularly when all transportation, testing, and analysis would be paid for by the Innocence Project. It would be completely free to the state. What About All of the Blood? If you have paid any attention to this case you would know that there is absolutely no physical evidence tying Belynda Goff to the murder of Stephen Goff. Not a single shred. And yet she remains in prison for 21 years serving a life sentence for a crime that she did not commit. During Goff’s trial, the jury heard a great deal of the massive amount of blood in the bathroom – indicating a crime scene clean up. The jury members heard Police Officer Archie Rousey go into great detail as he described the scene. Let’s do a quick recap. I will quote verbatim from the trial transcript. This will verify what the jury was hearing. “Sergeant Gage removed the bathtub drain plate. As he was removing it, as he turned it up, blood started running down his fingers. This blood was in liquid state” (T.489). “Officer Gage was in the bathroom trying to take out the drain with a screw driver. I was there to assist him… He took the drain out and there is was, it was running down his fingers and I had to get it as fast as I could. Blood and water is what it looked like to me, could possibly have hair…” (T.566). WOW! With all of that blood and even alluded hair there can be no denying a clean-up, right? – Insert awkward record screech. Wait a minute, how can that be? We have Police Officer Rousey stating that there is visible blood and possible hair oozing off of a fellow police officer’s hand. Let’s fast forward again to a hearing in 2014. In this hearing, the prosecutor, Tony Rogers, is arguing that evidence in the Goff case should not be allowed for testing by the New York Innocence Project. Judge Crowe goes on to mention Rousey’s statements that were made under oath. There it is folks. There is absolutely no evidence against Belynda Goff; only the numerous fabrications made by this police officer. You don’t have to take a blogger’s word for it. But maybe you can take put a little stock into a forensic laboratory’s results and an experienced judge. Our criminal justice system is broken and in Carroll County, Arkansas it is broken and dirty. This article was published May 13, 2017 at 2:03 a.m. 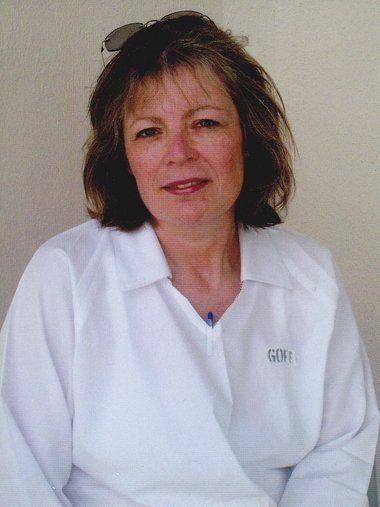 The shameful case of Belynda Goff, the Green Forest mother who many, including me, believe was wrongfully convicted of murdering her husband Stephen in their home 23 years ago, finally is drawing the national attention it richly deserves. Writing for the liberal Huffington Post website, contributor Hannah Riley, director of communications for the New England Innocence Project, published her latest compelling overview of the Goff travesty. Riley laid out some of many oversights, deceptions, misassumptions and missing evidence that have plagued this sad case since Stephen Goff was murdered on June 11, 1994. Since her conviction and life sentence without parole, Goff has maintained her innocence, just as she did at trial when she refused a plea bargain because she would not plead guilty to a crime she didn’t commit. After 46 years in this business and in the process investigating three different Arkansas men convicted of heinous crimes in separate cases being freed when fresh facts were later revealed, I can say to readers without equivocation that I believe Ms. Goff, a prisoner in the McPherson Women’s Unit at Newport, did not murder her husband. “For years, Ms. Goff has fought the many injustices heaped on her, both alone and with her family,” Riley quoted Goff’s attorney, Karen Thompson of the Innocence Project, saying. Riley’s article then reviewed basic facts, many previously reported since 2014 in this column: On June 11, 1994, at 9 p.m. Belynda and Stephen were spending Saturday evening at home in Green Forest. Stephen received a phone call. After a brief conversation, he said he was heading to a convenience store for cigarettes. Belynda eventually nodded off in front of the television. She roused herself around 10:30 and went to bed alone. Riley wrote that EMTs and Green Forest police arrived not long after she called, and police drew up a knee-jerk hypothesis: Belynda had killed Stephen. There also was an abundance of relevant evidence the jury never heard, Riley wrote. For instance, Stephen Goff had become involved in an arson scheme in Flint, Mich. Belynda’s brother Chris Lindley wasn’t called to testify at her first trial, but testified at her appeal that Stephen had repeatedly tried to solicit his involvement. A few days later, Stephen was found dead. Two days after that, Chris received a phone call threatening his life. In a panic, Chris moved his family. About a year after Stephen’s murder, the Goff family home was burned in a still-unsolved arson, Riley wrote. “On June 11th, before Stephen’s death, a neighbor of the Goffs called the police to report two suspicious men skulking around the apartment complex, often returning to their car, which had two baseball bats visible in the backseat. She initially reported the men out of fear for her children’s safety, but called police again to reiterate what she had seen after hearing the news of Stephen’s death. Other neighbors corroborated seeing the strange men,” Riley reported. There’s so much more to this shameful case. Read Riley’s complete story at tinyurl.com/huff-goff. Mike Masterson’s column appears regularly in the Arkansas Democrat-Gazette. Email him at mmasterson@arkansasonline.com. Bridgette Jones is the daughter of our client Belynda Goff who was convicted of murdering her husband in 1997. 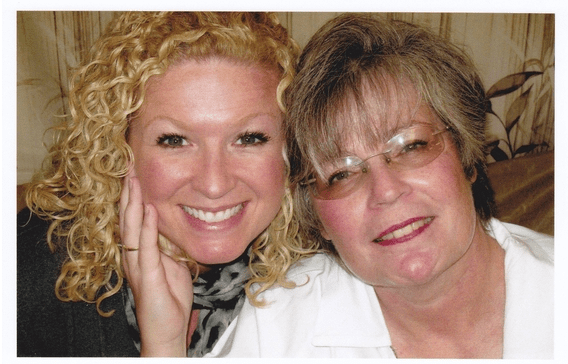 Goff, who steadfastly maintains her innocence, has been in prison for more than 20 years and has to spend yet another Mother’s Day in prison without her loved ones. I want to wish you a happy Mother’s Day. Every time this holiday comes around I cannot help but think of you and how much you mean to me, to all of us. My brothers and I are who we are today because of you. You have been a pillar of strength for us during this nightmare. This tragic injustice has affected us all. Every holiday ripped away, every moment we long to share with you we cannot because you were wrongfully stolen from our lives and forced to endure a punishment for a crime you did not commit. Hold your head high this Mother’s Day and know that you are loved. Though we cannot always be physically close, I depend on our frequent phone calls to hear you laugh, to guide me, and just so I can tell you we are all here for you! We are working and striving toward the day when you will be freed. When it is publicly acknowledged that there is absolutely no evidence tying you to this crime. That your trial was a travesty from the get-go. That the DNA evidence that could have led to your freedom suspiciously disappeared while in the custody of the police. Your integrity has never wavered. You are a woman of character and strength that I admire in every possible way. I realize this holiday is difficult for you but know that we are celebrating you! My hope is that other mothers who may be facing similar circumstances have the strength to persevere, to fight the good fight, and know there are virtuous people out there that are taking a stand against wrongful convictions. 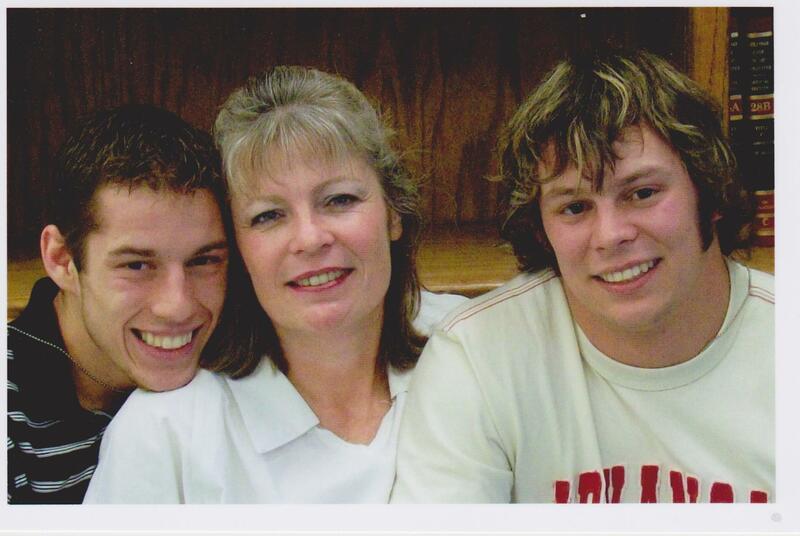 Hold your head high this Mother’s Day and know that you are loved. Know that you are not alone. Know that I will spend my last breath fighting until you are free. Today marks Belynda Goff’s nineteenth Mother’s Day as an incarcerated mother, serving a life sentence for a murder she did not commit. In 1994 Belynda, then 32 years old, lived in Green Forest, Arkansas and worked at the local Tyson plant. She was a mother of three – Stephen Lee, 3 years old, Mark, 7, and Bridgette, 15. “I was a mom, that’s what I did,” Belynda told me. “I was a little league, cheerleading mom.” On the night of June 11, 1994 she was home with her husband, Stephen, and their son, Stephen Lee. Around 9:00 pm Stephen received a phone call and told Belynda he was going out for cigarettes even though, as Belynda told him, the store was closed. She headed to bed around 10:00 or 10:30 pm. Stephen was still not home. During the night Stephen Lee crawled into bed with her. At about 2:00 am her upstairs neighbors heard a knock on the Goffs’ door, and then shortly later, what sounded like banging on the ceiling. Between 4:00 and 4:30 am Belynda’s alarm went off. She went into the bathroom, then the living room. It was there that she saw Stephen, in the corner of their doorway, bloodied. His blood spattered keys lay nearby. She became hysterical and dialed the Operator for help. The paramedics and police arrived shortly thereafter. The police theory of the crime – developed almost immediately – was, as the prosecutor would tell jurors: “Hell hath no fury like a woman scorned.” Stephen had been unfaithful in the past and so, the State argued, Belynda must have killed him in a rage when he came home that night. On the morning her trial was to begin, Belynda, facing the prospect of a life sentence, was offered a plea deal of 10 years. She rejected it.“The only thing I said in response to my attorneys was, ‘But I didn’t do it’,” she told me. Belynda and I first met over letters about seven years ago when I worked on her case at the Innocence Project as a Case Analyst. I would grow to know her and her daughter, exchanging cards and phone calls, photos of our children, news of death, births and illness. On the day I taught her case in my wrongful convictions class at Rutgers University I wore the scarf she had made me. The evening before Belynda found her husband’s body, a neighbor had seen men with baseball bats parked in front of Belynda’s apartment. Fearing for her children’s safety, the neighbor reported the sighting to the police that day and again after the murder. According to Chris Lindley, Belynda’s brother, Stephen had asked Chris to join him in an arson scheme. They were to burn down a building in Flint, Michigan for $10,000. When Chris told Stephen he wanted to back out, according to Chris, Stephen became panicked, begged him to reconsider and told him that he (Stephen) had already spent the money and would be killed. About a week later Stephen was found dead. Two days after the murder Chris received an anonymous call stating he would be killed next if he opened his mouth. Belynda’s home was burned down before trial in a still unsolved arson. On August 5, 1996, Belynda was convicted of first degree murder and sentenced to life in prison. 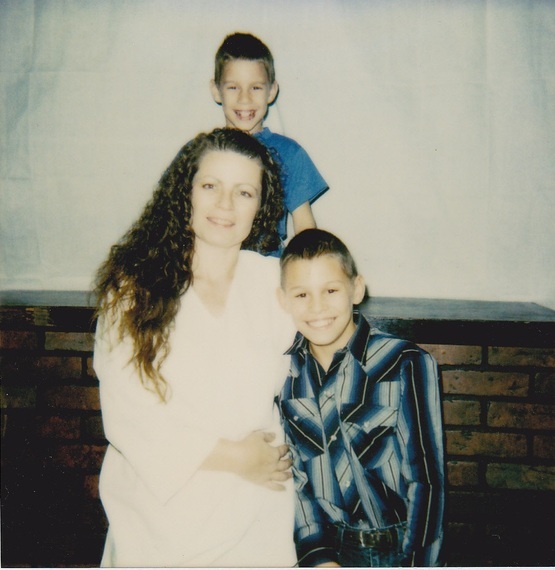 May 11, 1997 would be her first Mother’s Day behind bars. Despite the physical separation, Belynda says, she was determined to remain a loving presence in her children’s lives. She called them every day before school to be sure they were ready for the bus. They mailed pictures to each other, drawings from their childhood she calls her “treasures.” She and Bridgette would watch the television show Alias and then call each other to discuss it afterwards. As her children grew older they found ways to include her in their milestones. Mark chose to get married on Belynda’s birthday and saved her a seat at the wedding. When Bridgette became pregnant with her second child she sent the ultrasound results to Belynda so her mother could tell her the baby’s gender; Belynda sent Bridgette a pink ribbon in response. Belynda, now 54 and a grandmother, remains hopeful that, one day, she will be exonerated. Posted: February 16, 2016 at 2:24 a.m.
Our state’s had plenty of cases impersonating as justice. There’s the Janie Ward disgrace where the teenage girl from Marshall died of a separated spinal column during a party; for more than 20 years her violent death has remained unresolved. Lately, we’ve endured a different form of travesty caused by our state’s Department of Environmental Quality (cough) quickly, quietly and accommodatingly allowing a hog factory of some 6,500 swine to operate in the ecologically fragile watershed of our Buffalo National River, the country’s first so designated. Now I see yet another. Karen Thompson, attorney for the Innocence Project in New York, says the petition for clemency submitted to Gov. Asa Hutchinson on behalf of inmate Belynda Goff of Green Forest has been denied. Belynda has served 20 years of a life-without-parole sentence based on her 1996 conviction despite inexplicably missing DNA evidence, excluded records and witness testimony, as well as no hard evidence to justify her conviction, much less such an extreme sentence. I say that because anyone with common sense, including lawyers and law professors who examine what happened to this mother following the beating death of her husband, can’t help but be startled by what they learn. Every Arkansan would benefit from visiting the family’s informative website, Free Belynda Goff. Draw your own conclusions. Belynda remains imprisoned because she declined a plea bargain of 10 years in exchange for her guilty plea. She’s proclaimed innocence from the night of her husband Stephen’s 1994 murder, vowing she’d never plead guilty to a crime she didn’t commit. Would you? In researching what I know of this deeply troubling case spearheaded at the time by Carroll County investigator Archie Rousey (now retired), it seems most likely that her husband was bludgeoned to death in the predawn just inside the Goffs’ front door, possibly because of Stephen Goff’s reported involvement with an arson ring. Belynda’s trial has long struck me as anything but justice. Her daughter, Bridgette Jones, said the single drop of purported blood found in the Goffs’ bathroom turned out not to be blood, according to a state Crime Lab finding the family received that was revised from the finding presented to the jury. The jury also never heard from Jodi Morganson, who said men with bats reportedly were inquiring about the Goffs’ residence on the day of Stephen’s murder. The list of obvious flaws in Belynda’s case are too numerous to detail here. Like many others I’m disillusioned with our state’s refusal to approve this mother’s justifiable plea for clemency. Thompson of the Innocence Project said, “She’s given a life sentence by a jury that didn’t hear at trial any evidence supporting her innocence, and the original prosecutor offered her 10 years. She’s been in for nearly 20 and is being punished with life in prison simply for maintaining her innocence. They had no viable evidence to prove her guilt. None. Their theory of guilt was nonsensical. In November, Thompson questioned former Carroll County deputy Greg Lester under oath about his signature documenting that he’d indeed picked up potentially crucial DNA trace evidence from the state Crime Lab. That evidence vanished without explanation. With Rousey present in the courtroom during Thompson’s questioning, Lester testified that he didn’t recall anything about his trip to Little Rock for the evidence, or what became of it. Shawna Day was released from the women’s prison in December and formed a prisoner advocacy group called Echoes. She knew Belynda well in prison, as do so many inmates Belynda helps without bitterness. “Belynda was an inspiration while I was incarcerated,” said Day. “She challenged me to rise above my circumstances, as she does every day as an innocent woman locked away. She’s truly a woman out of place in that environment. Yet she uses her tragedy to help better those around her by being an example of class, dignity and clarity.